From the San Francisco Bay area to the Central Valley and throughout Southern California, Last & Faoro is an experienced San Mateo construction law firm serving general contractors, sub-contractors, developers, and lenders in the State of California. Our construction law attorneys have more than twenty-seven years of experience providing comprehensive legal representation to clients with interests in the California construction industry. Contact our office, or by phone at 650-425-7679, to discuss your needs with knowledgeable attorneys committed to your legal success. We recognize that construction related disputes significantly increase the cost of building projects. They also jeopardize important business relationships. 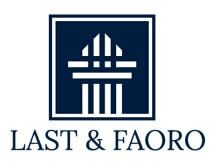 Last & Faoro is committed to providing proactive legal advice and representation geared toward establishing and protecting the business relationships involved in large construction projects. Our lawyers are familiar with all aspects of California construction law. From contract bidding, negotiation and preparation to surety issues, and construction claims to land subsidence, quality of workmanship, and materials issues, we have the skill and knowledge necessary to protect our clients' interests. In addition, our construction law attorneys have significant experience handling claims for equitable adjustments, and payment and collection issues related to private and government building contracts in California. Our lawyers use technology, such as litigation support programs, to help cut costs and save time in analyzing and preparing a case for resolution. We have all the major California legal libraries online. We also have nationwide construction legal libraries online. We also use current technology to speed response to our client's needs.